Not only do Crucial NVDIMMs accelerate your servers, they’re also nonvolatile, which improves system data security. In the event of power loss, standard memory would lose all data in RAM, while an NVDIMM will retain it. If power is lost, the system controller sends a hardware signal to the NVDIMM to perform a backup operation. The NVDIMM controller isolates the system bus by enabling on-module data mulitiplexers (MUXs). Then, the NVDIMM controller activates the power management circuitry, drawing power from the ultracapacitor and providing energy to the NVDIMM for the backup operation. The controller then manages the transfer of data from the DRAM into the onboard NAND. Once system power is restored, data is transferred from the NAND back to the DRAM. The low latency and persistence of Crucial NVDIMMs allow you to get more out of hot data, metadata, tables, and journals without the need to spend costly latency cycles caching data to storage tiers that are much slower. 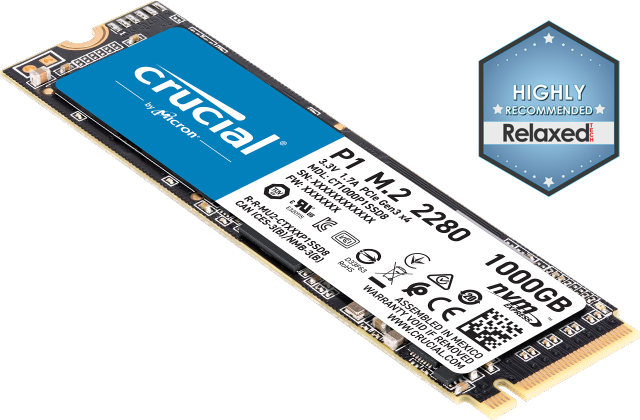 Plus, storing the rest of your data on an SSD that delivers the next fastest storage access optimizes the performance and reliability of your systems. Crucial NVDIMMs are ideal for Big Data analytics, storage appliances, RAID cache, in-memory database, and online transaction processing because these types of applications need the shortest possible route between memory and storage. DRAM and NAND inherently address different memory issues. 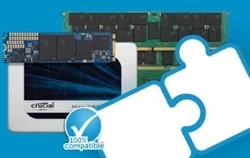 DRAM supplies the best memory performance and lowest latency. NAND, on the other hand, supplies higher density as well as data persistence. When put together in Crucial NVDIMMs, you get memory speeds of 2133 MT/s with the safety net of NAND storage to limit costly downtime and provide persistent data integrity in the event of system power loss.